Did I just see Lit and Everclear? On Friday night, I finally saw Lit, Everclear, and Gin Blossoms in concert at the Greek Theatre in Los Angeles for the Summerland tour, and it was everything I expected it to be: awesome. This was Amy’s first time attending a large “rock” concert, and she really enjoyed the bands. It was my first time seeing these bands in concert. Nostalgic. Posted on June 30, 2012 August 30, 2012 Categories PhotosTags Everclear, Greek Theatre, Lit, Live Music, Los AngelesLeave a comment on Did I just see Lit and Everclear? 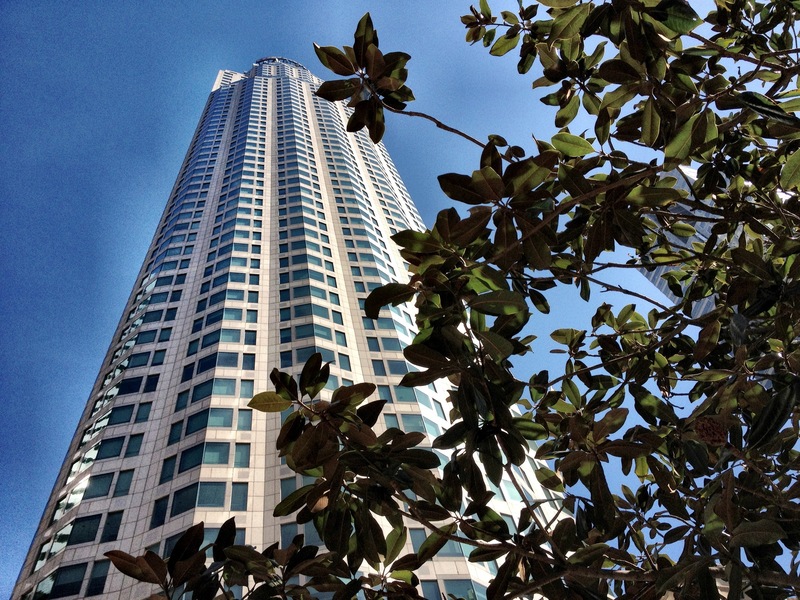 Taken while on a walking tour with a group. On Tuesday night (12/14), I saw a screening of TRON: Legacy (3D) at Club Nokia in Los Angeles as part of Nokia’s promotion, N8 First Look. While the plot line could have been improved, I loved the film. I recommend it. Thanks to Donna from WOMWorld/Nokia for the invite! 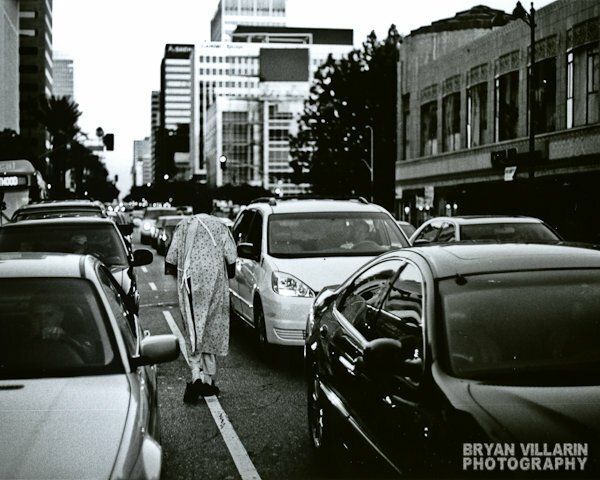 While walking across the street from the Wiltern to the Wilshire/Western subway, this man walked between the cars asking for money. The print is pretty much how I envisioned it. Unfortunately, I’m still trying to get more detail between the man’s head and the trees in the distance. This is probably my 8th print attempt. I’m scared that no amount of dodging will bring it out. I would scan the negative, but I don’t have a film scanner. I’m not sure if I should save money towards buying a Canon CanoScan 8800F. Like before, I tried to get this scanned print as close to the real thing as possible. I cropped out the white borders since they weren’t clean. 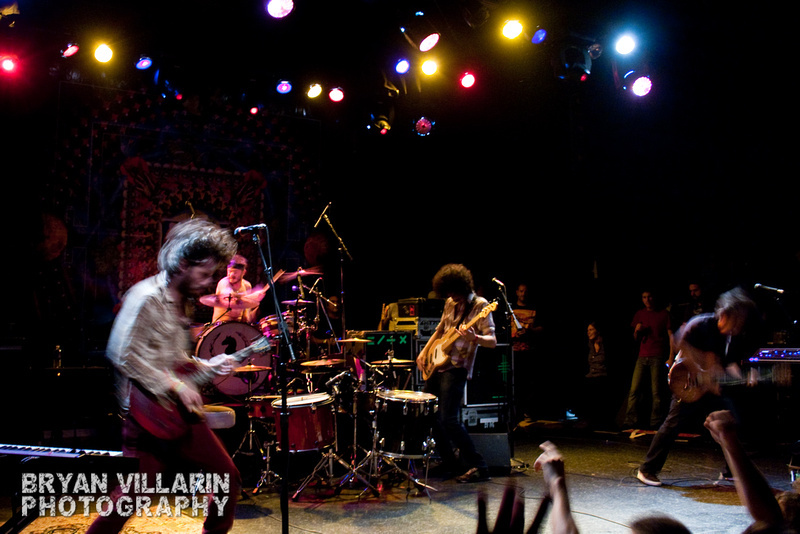 August 30th, 2009 — A photo I took of the Rx Bandits rocking out at the El Rey Theatre (Los Angeles, CA). This is just a teaser. I’m working on ’em. Thanks to Cathy and Chase from Sargent House for the photo pass!